The Bible has words. Can you find words in my Bible? Tell me a word and I will write it down. I wrote (child’s name) words. When men wrote down what God said they wrote down God’s words. The Bible is God’s Word. God spoke them and men wrote them down. 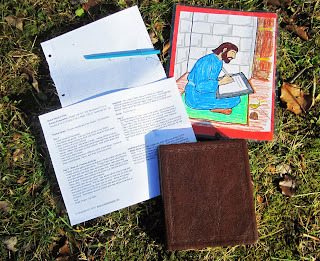 Different men wrote down different parts of the Bible. Some of them were Moses, David, and Paul (show pictures). Read Numbers 23:19a. God is not a man, and He does not lie. This means that His words are not a lie. 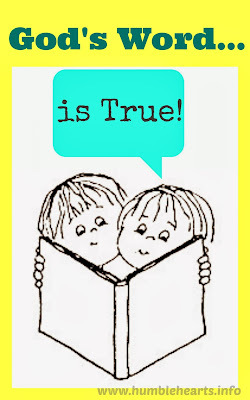 Since the Bible is God’s Word, then the Bible is not a lie, it is true. If I said that I was a cat is that true? No that is a lie because I am a person. If I said we were in a swimming pool is that true? No that is a lie. We are in a room. The Bible does not lie and it is always true. (read the verse for the week) When you wake up in the morning God’s Word is true, at lunch God’s Word is true, when you go to bed God’s Word is true. God always does what He says He will do. Our play food is very realistic looking! Ahead of time gather items so that you have a fake version and a real version of multiple items. Things that I have used before: play food and real food, fake and real flowers, fake and real animals/reptiles, real baby and a baby doll. 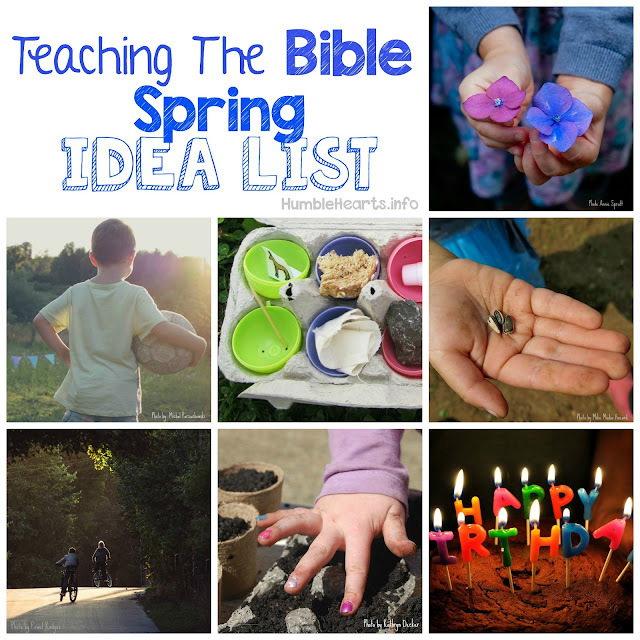 Also gather a Bible and a book that has pretend characters in it (Winnie the Pooh, Elmo, etc). 2 boxes are also helpful. Hand each item to your child. Talk about which one is real and which one is pretend. 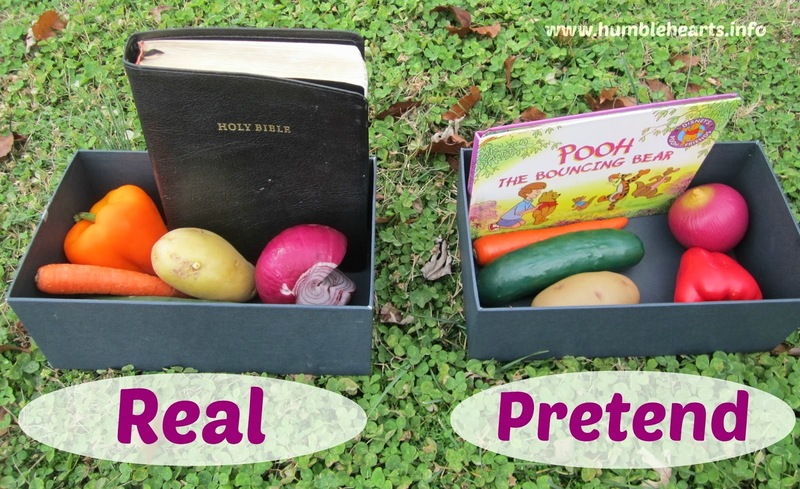 Put the real items in one box (or pile) and the pretend items in the other box (or pile). At the end pass around a story book (Pooh or Elmo) talk about how this is pretend. Then pass around a Bible and talk about how this is true. Have child stand up show his/her Bible. “This is my Bible.” or just “Bible”. 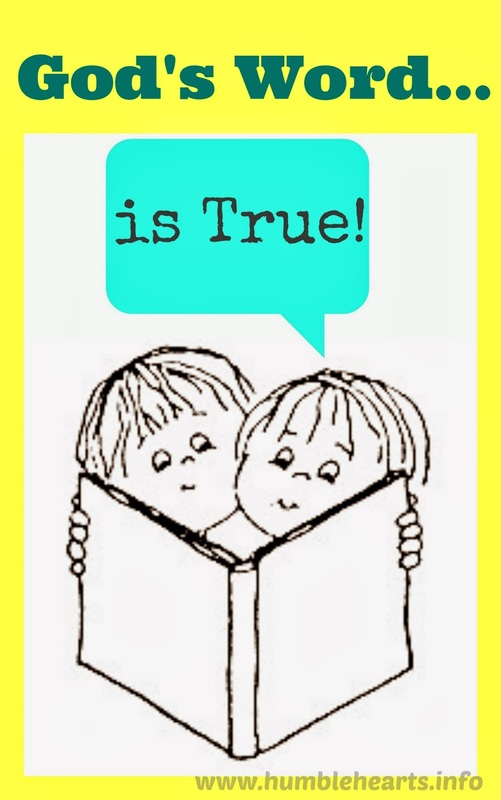 Help your child find some words in the Bible and then have the child point and show “these are God’s Words” or “God’s Word”. During the Show and Tell reinforce with your child that we are gentle with the Bible and we use “nice hands”. 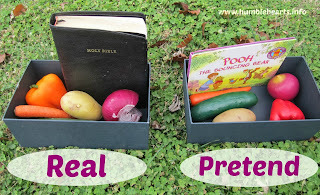 Great examples of pretend & real to show the children! I'm going to do a shorter version of this in children's fellowship this week! That's awesome! I always have fun teaching this one.